According to my very routined, uber self-disciplined husband, I have a problem. I can’t form a habit to save my life. And in the name of honest vulnerability, I’ll admit that he’s right. But it would be great if you don’t share that little confession with him. I don’t even have a routine for the shower, other than shampoo comes before conditioner. The thing is, this propensity doesn’t fit well with the rest of my personality! I love organization, clean spaces, and efficiency. I just also love spontaneity and freedom. Organized Chaos is what my husband affectionately calls me. All the common advice for having a successful day — or life! — involves planning to the minute, following a schedule, and doing things the same way. That’s why those systems last about a day and a half in my home. But, there was one thing powerful enough to convince me I need some sort of order and, yes, routine in my world: My kids. When my son was just 6 months old, we noticed how much he put himself on a schedule. By the time he was 18 months, it was clear that our daily routine had a tremendous impact on his happiness and behavior. He thrived under structure and melted down without it. In order to love him the best I could while not going crazy myself, my husband and I came up with a flexible schedule for our family. I am happy to say we have now followed this flexible schedule, with tweaks for various life stages, for the past 10 years. That’s quite an improvement over a day and a half. And I still don’t really have habits. Instead of thinking of your day through the lens of a rigid routine or a well-planned calendar, look at this as the rhythm, or the flow of a day. Plus, it keeps a natural rhythm to each day, which in turns creates more peace and contentment in a home. Here’s the very first flexible schedule my husband and I created. We kept to this until our 3rd child was 3, and we had moved past naptimes and into the school years (I’ll share that schedule a little later). What’s missing? Times and time frames. With a flexible schedule, it doesn’t matter what time you wake-up because you can start the day at any time. (Can we be real? My oldest was up by 5:30 AM for the first 8 years of her life. I did not need an alarm clock, just a whole lot of coffee. My days were loooong.) There’s no set amount of time for playing outside, so if it’s too hot you can go indoors, and if it’s a perfect day, you can stay out all morning. A flexible schedule really did meet both my need to be spontaneous (bikes or soccer? Painting or drawing?) and my very scheduled son’s needs, because I could vary the activities day by day, but he knew generally what was coming next, and that gave him the stability he so craved. On the days we had to run errands, or we planned a playdate, I let my kids know at breakfast, “Here are all the fun things we are going to do today! Yay! When we get home after lunch, it will be story time and then nap time.” That let my son prepare for a different day, and it let him know we would get back to our normal day when we got home. But, I didn’t let his desire for a schedule keep us from doing different things! It was truly a perfect compromise. In case you were wondering, Intentional Playtime with Mom meant fun, semi-educational play. We might play with Play-Doh, do puzzles, have a tea party, play a game, or work on some age-appropriate skills. I often printed preschool activities, had books with mazes or hidden pictures available, or prepared a fine motor skill activity. The funniest thing to me is that once my kids are done with school and chores, they automatically have a quiet time in the afternoon, which they rolled over from the first flexible schedule we had! It’s a piece of their day that they find comfort and rest in, even at their ages. These days, that quiet time might be playing an instrument, reading, or creating something, but it’s usually alone time in their rooms or outdoors. If you thrive on routine or are someone who has their planner filled out to the minute, this might not make a ton of sense to you. It’s too free and lacks detail. But it might make sense to your spouse, or one of your children. And if you are as free-spirited as my youngest daughter, this might feel SO restrictive. And I hear you! 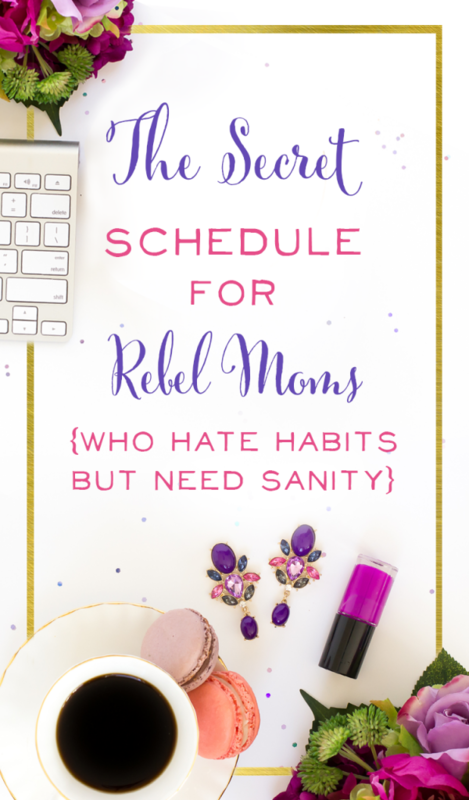 When my husband and I made that first schedule, I started out kicking and screaming in full toddler temper tantrum meltdown mode with some resistance. But the peace this brought to our home sold me on it. I say peace, because when asked a question I had an answer on the board on the wall, and I didn’t have to scramble to think of when I might feel like going outside, or when they’ll get TV time. Peace, because I don’t stress about when I will have hours to work, or when we’ll get school done. And peace, because when every day has a rhythm, the notes that make up the day are harmonious and the resulting melody is beautiful. This erased the discordant stress of our days and turned even the toddler years into a lovely chorus. Carlee runs Customer Care for Brilliant Business Moms. 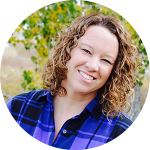 She's a Southern California valley girl turned rural Wyoming hobby farmer. Carlee has been married to her her pastor husband, Daniel, for 17 years, and they have 3 personality-plus kids. Carlee is kind of like our Brilliant Business Moms fairygodmother; everyday she grants the wishes of our students and loved customers! In addition to handling customer service requests, she is organizer of stuff, keeper of spreadsheets, and maker of downloads. (Carlee adores checklists and worksheets, can you relate!?) She's a Southern California valley girl turned rural Wyoming hobby farmer. Carlee has been joyfully married to her pastor-husband Daniel for 17 years. They have three personality-plus kiddos: Mckenna 15, Gabe 12, and Juliana 10.